Sustainable Woodstock’s Trash Force is a volunteer-led group that works to improve recycling practices in our community. We are helping to prepare homeowners and businesses for the implementation of Vermont’s universal recycling law, Act 148. The Trash Force has developed a recycling policy for community events, facilitated the installation of recycling bins throughout the Village, and provided recycling services at public events, including the Road to the Pogue, Covered Bridges Half Marathon and the Trek to Taste. We typically divert 75% of trash to recycling and compost at those events. In April, we held an electronics recycling drop-off event at Union Arena that collected more than three tons of discarded computers, televisions, batteries, lightbulbs and other electronic components from area homeowners and businesses. We also shredded over one ton of sensitive documents. Change the World Kids also participated and collected cell phones and ink cartridges. This program will be repeated annually on or around Earth Day. 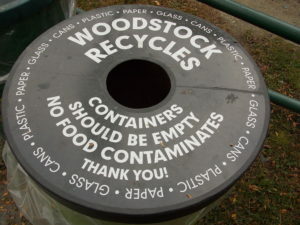 Sustainable Woodstock urges everyone to recycle and compost as many materials as possible. 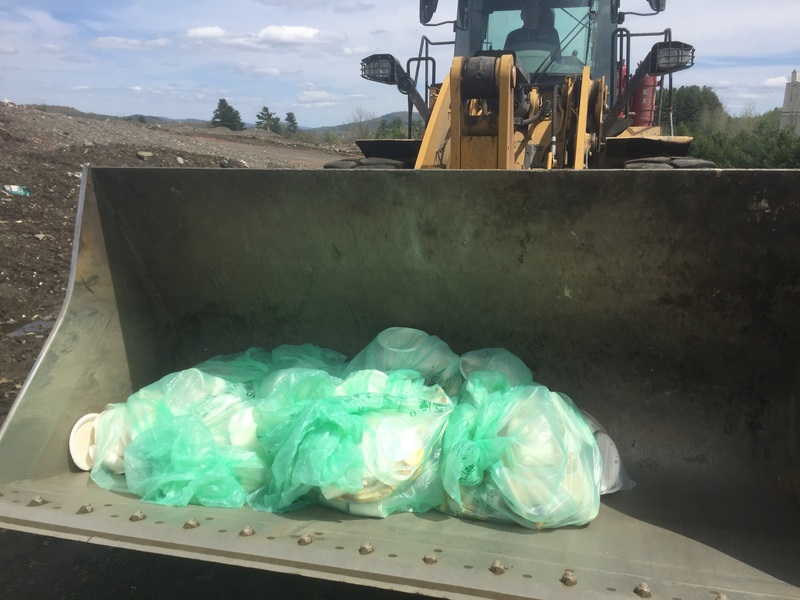 This saves valuable landfill space and energy, and helps make the transition from a wasteful, consumer-oriented lifestyle to one that is more sustainably in balance with the ecological capacity of the planet. Besides, Vermont’s universal recycling law, Act 148, requires residents and businesses to improve recycling practices in gradual steps over the next few years. Don’t be a trash outlaw! Learn what you need to do to comply. The following documents provide comprehensive guidelines to help you recycle more easily and efficiently. Click on each link to open these informative guides.